I've started into the S just a little. After that, lots of backstitching to finish! 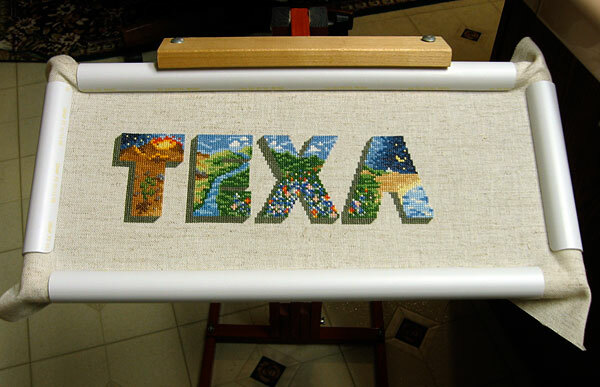 The X in particular has a bunch, so it's going to take a while to get to the point of putting in that final stitch.